Culture Creator With a portfolio specializing in community living and common spaces, Global Agents is a rising name among Japanese property developers. Our commitment is to develop the platform leading to the new culture of tomorrow’s Global society. Entering its thirteenth year of operations, our company expanded to an impressive portfolio of residential, cafe, restaurant and hotel operations, with plans to expand even further into all these markets in the coming years. In terms of concept development, our company has been active in the shared-apartment industry from the get-go, ever since our founding in 2005. But really, everything started when I, before founding the company, went to live in London for six months when I was 19, and shared a flat with other people. I found that this residential style was exceptionally fun, especially since it’s not common in Japan; or at least it wasn’t at the time. After that I started to think about business ideas and how this concept could work in Japan. I heard that social networking sites were expanding such as Mixi or Gree. They were popular SNS platforms in Japan at the time. I realized there was a growing demand for socializing or connecting with people through the Internet. I thought there should be the same thing in real life so that people can socialize where they live, and the concept of a Social Apartment was born. With more than 2,000 rooms in 36 different locations across Japan, the Social Apartment brand has now gained a cult popularity through its focus on clean, stylishly designed common spaces that encourage resident interaction. Recently, we’ve translated a lot of our success in creating shared spaces over to expansion into the hotel marketplace with a variety of boutique, designer hotels that focus on a balance between shared lounge and lobby spaces, and well-designed individual rooms. Even more than Social Apartment, there’s a lot of room for creativity in the design of our hotels, and it’s an area I’ve been really enjoying throwing my effort into. 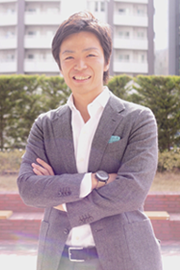 Takeshi Yamasaki founded Global Agents in May 2005, right after graduating from the Tokyo Institute of Technology. In April 2006, he decided to leave the company to join Goldman Sachs in Singapore as he realized the importance of obtaining more experience in finance. It was one of the toughest decisions he made in his life. After three years, despite having climbed to a good position there, he decided to give up his position at Goldman Sachs and come back to Japan to take back the lead of his original company. A very difficult and risky move. But it actually didn’t take that long to get everything back on track as he strongly believed in the potential of the Social Apartment business and never gave up on his vision. Now, Global Agents is one of the new leading companies in Japan, soon to extend his global vision overseas! Unique properties offering timeless design that transcends generations. 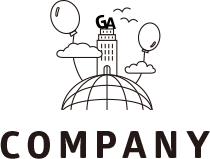 A company that seek to revolutionize the way to connect people in modern cities, and create a bridge between locals and new generations. Among 59 other companies, Social Apartment was able to distinguish itself with true & innovative ideas, and is an inspiring business model for future companies. Cross the Pedestrian Bridge from Shibuya Station to Hikarie Department Store. Turn right after exiting Hikarie and you should see the Shibuya CrossTower about 30m ahead. Our office is located on the 25th floor. 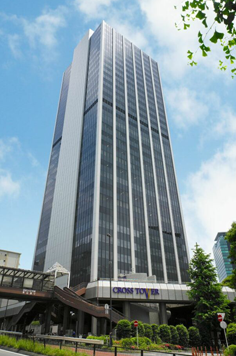 Headquarters moved to FIK Aoyama Bldg. 「HOTEL GRAPHY」Opening. Start of the Hotel Operation.